We’ve got some serious shuffleboard. 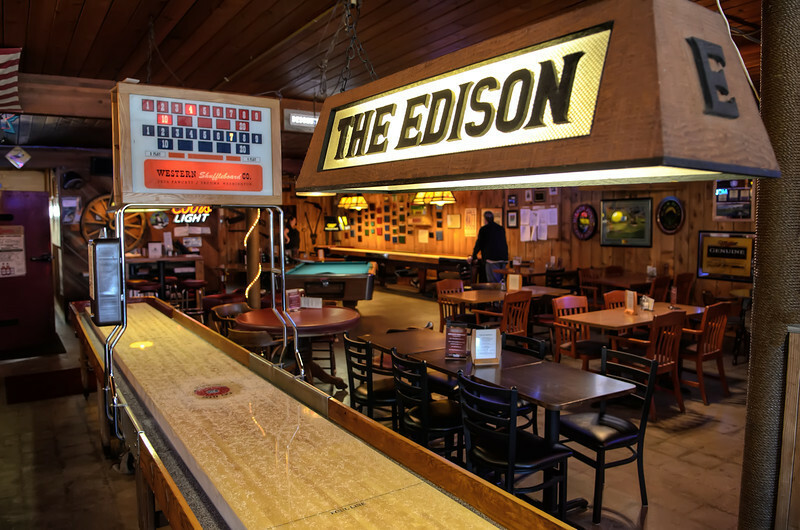 It’s hard to find a place with one shuffleboard, let alone two immaculate tables like you’ll find at The Old Edison. 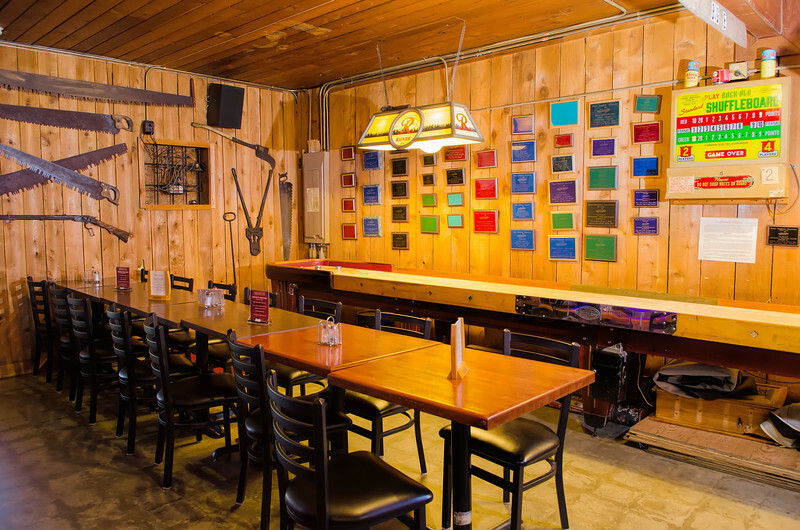 (We might be the only place with two full tables in the state!) We LOVE shuffleboard, and the locals are here every night pushing pucks. We proudly maintain our boards and have refinished both within the last two years, bringing in even more players from around the area. The county-wide league runs from October to April and on Wednesday nights and Saturday afternoons, where the game gets serious. But don’t worry if you’re not into tournaments – we encourage everyone to learn to play, and we’re here to help! Not one, but TWO amazing boards!